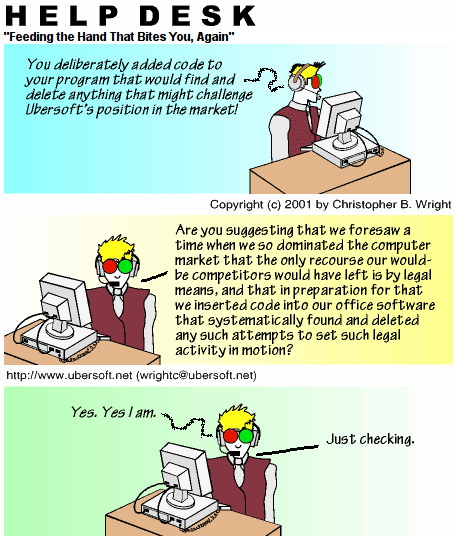 FEDS: You deliberately added code to your program that would find and delete anything that might challenge Ubersoft’s position in the market! ALEX: Are you suggesting that we foresaw a time when we so dominated the computer market that the only recourse our would-be competitors would have left is by legal means, and that in preparation for that we inserted code into our office software that systematically found and deleted any such attempts to set such legal activity in motion? FEDS: Yes. Yes I am.